We have a duty to provide information about screening in a way that enables people to make informed choices. We aim to provide clear, concise and accurate evidence-based information for both public and professionals. To help ensure equality of access to our programmes we also provide information in alternative formats if there is a proven need and we can do so cost effectively. 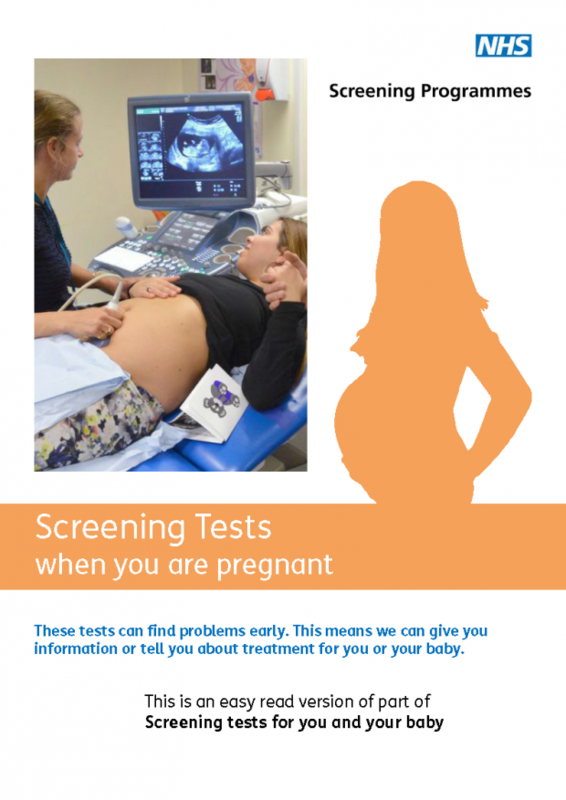 One example of this is the recent publication of the Screening tests for you and your baby booklet in easy read format for parents who have learning disabilities or struggle with written English. The easy read format uses pictures to support the text and the amount of text is reduced compared to the standard booklet. Local screening providers are encouraged to download and print off the pdfs from the website for parents who would benefit from the easy read format. 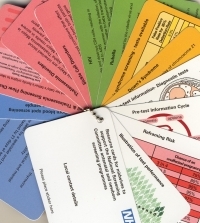 We provide patient leaflets free of charge to all local NHS screening providers. An explanation of the process and a link to the online ordering form can be found here. Free supplies of these leaflets are only available for use by local providers in line with the national service specifications. However, providers and other organisations who wish to order stock for other purposes – such as learning resources or awareness-raising activities can now buy the leaflets for a small fee to cover the production costs. All the leaflets are printed and distributed by Harlow Printing Ltd, our national supplier. Please visit the Harlow shop for further information or email Rebecca Ord at Harlow Printing. Our ever-popular antenatal and newborn screening resource cards are handy credit card resources that help support health care professionals in discussing screening with women and their families. They include the antenatal and newborn care pathways and a summary of important information about each of the six antenatal and newborn programmes. This resource is now available to purchase direct. The price covers the cost of print and materials only and is available to order online from Harlow Printing.